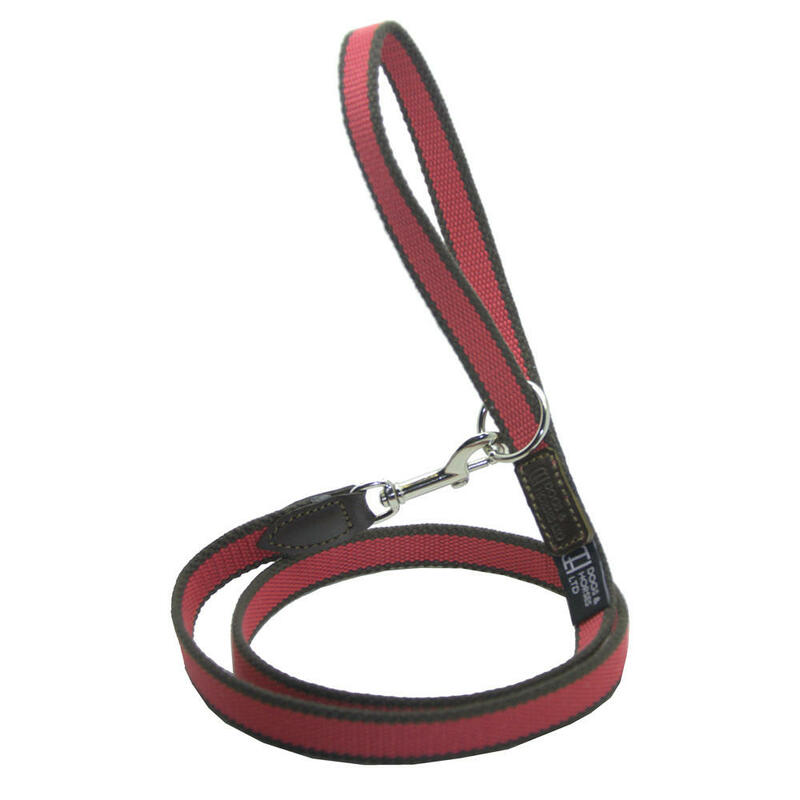 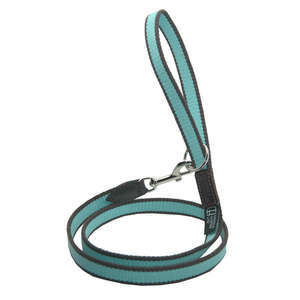 This striped webbing Lead from D&H is hard-wearing made from a double layer of 2cm wide cotton/polyester webbing, with saddlery-leather fixings, perfect for active dogs. 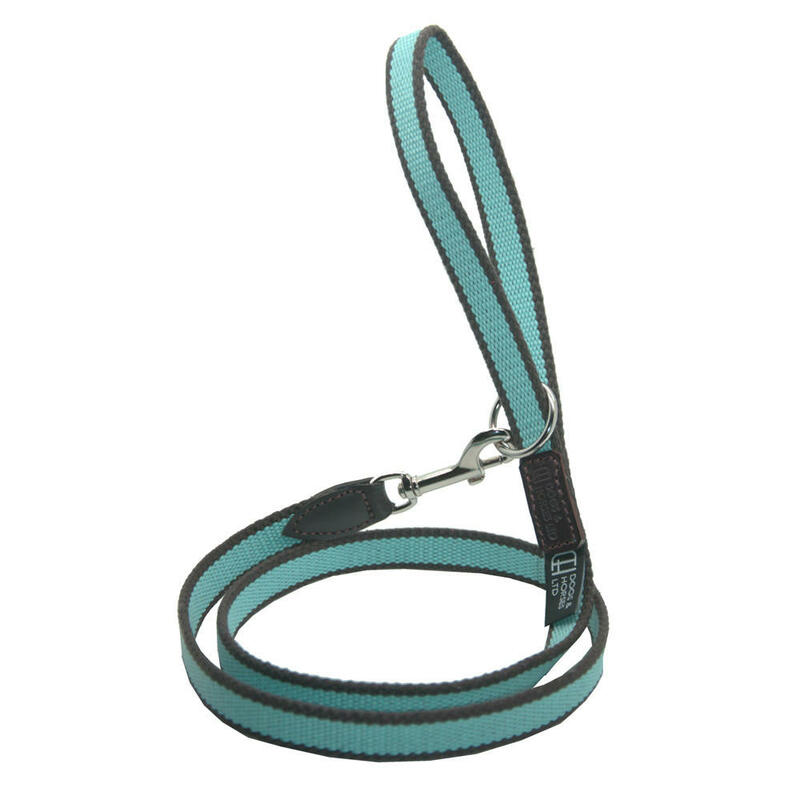 This lead has a contemporary feel and is finished with nickel plated fittings. 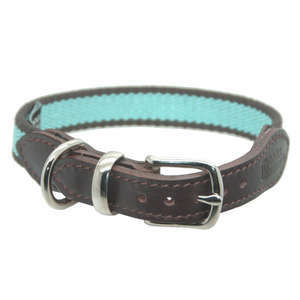 Available in two attractive colour combinations: Brown/Blue or Brown/Pink stripes.